This year's Niagara Falls Canada Day Celebration will be held on Monday, July 1, 2019 in Downtown (Queen Street) Niagara Falls. Canada Day in Niagara Falls has been a tradition in our beautiful City for over 30 years, bringing our entire community together, for residents and visitors to enjoy and share our special bond of living in one of the greatest countries in the world and celebrating our freedom, values and diversity. 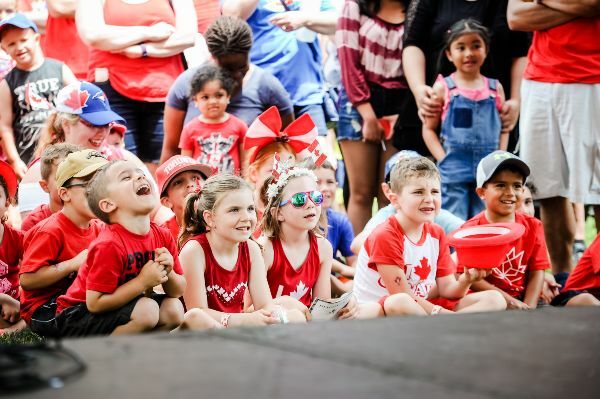 This special celebration, presented by the Niagara Falls Canada Day Planning Team, is the largest Canada Day celebration in the Niagara Region and one of the largest Canada Day Celebrations in Ontario. Please join us this year on Canada Day. Scotiabank Children’s Zone with free rock climbing wall, inflatables, and more! For the complete schedule, visit the Niagara Falls Canada Day Celebration Event Schedule page. Every year more than 100 volunteers help welcome thousands of guests who take part in the free festivities organized by the Niagara Falls Canada Day Planning Team. Volunteering is a great way to build experience, get involved in your community, meet new people and show your Canadian pride. Volunteers must be at least 12 years old, enjoy working with the public, and be able to commit to a minimum of four (4) hours of volunteer work. For a complete listing of activities, please visit the Canada Day Celebration Event Schedule page. Submission deadline for vendors is Thursday, April 25th, 2019. Fill out the application form. Questions? Send us an email. Please contact Lori Albanese for sponsorship and vendor information.